This was one of WhatsApp’s most anticipated feature rolled out few weeks ago… unfortunately, the recall feature isn’t as reliable as it looks. 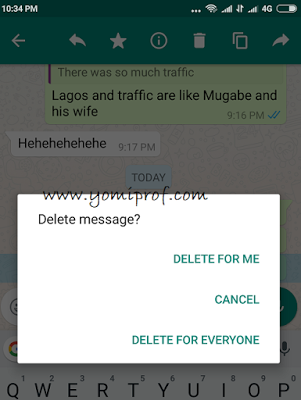 Last month, WhatsApp introduced a ‘delete for everyone’ feature, allowing users to unsend an embarrassing message within seven minutes of sending it. The message once deleted from the senders end’ automatically delete the message from the receivers end too. 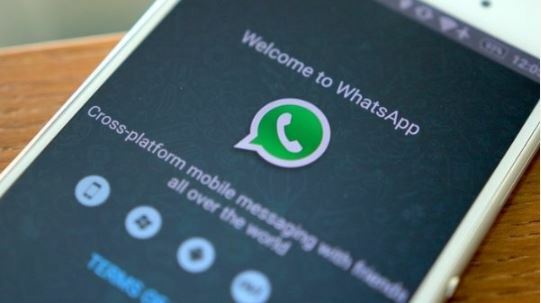 But a new report from a Spanish blog claims that WhatsApp messages that are deleted are actually still on the device, and can easily be accessed through Settings by the recipient. The recipient can easily access the deleted messages regardless whether it has been deleted from sender’s end. 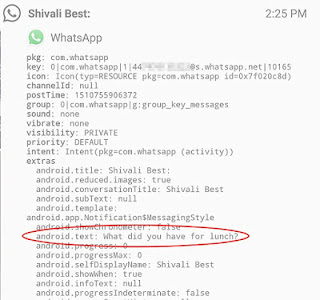 Whenever a notification comes in to an Android devices, it is stored in the notification log – whether or not it is subsequently deleted by the sender. While the bulk of the data in the log is technical information, the first 100 characters of the notification message is also recorded. 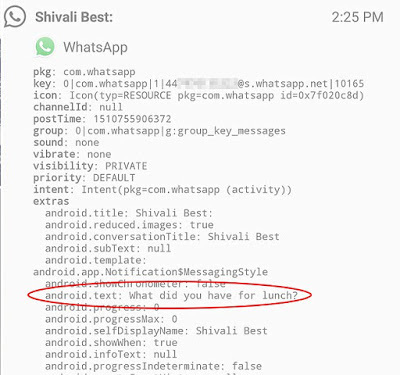 Search the message in the Android notification log. Users will only be able to view the first 100 characters of deleted messages, and the notification log will clear every few hours, or any time the device is restarted. This raised a serious security issues with WhatsApp since one of the main reasons people use WhatsApp over text messaging is that it uses end-to-end encryption, that is seen as a secure option.